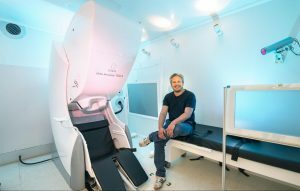 Doing a PhD in the Doctoral College “Imaging the Mind” also means that you will have access to an outstanding research infrastructure at the Centre for Cognitive Neuroscience (CCNS) Salzburg, which is (almost) exclusively dedicated to research. 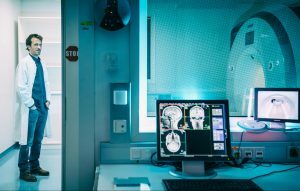 The CCNS connects different departments and work groups and thus allows for the integration of different approaches to studying (human) cognition. 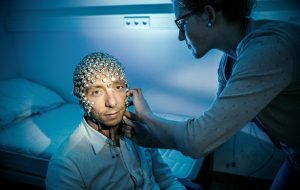 More precisely, it connects the departments of biological sciences, psychology, and linguistics at the University of Salzburg as well as the department of neurology, the Christian Doppler Medical Centre and the Centre for Neurocognitive Research at the Paracelsus Medical University. Beyond facilities, the organisation into “Methods Units” ensures that you can enjoy support at every stage of your research – from study design via data recording up to data analysis. This way, we get rid of many obstacles for interdisciplinary research! 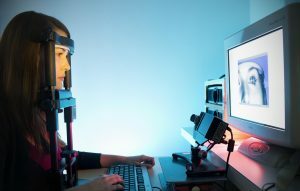 The “Methods Units” provide support for the following methods: (i) electroencephalography (EEG), (ii) magnetencephalography (MEG), (iii) neuroimaging and brain stimulation, (iv) hormonal analysis, and (v) eye-tracking and behavioural research.